The charmer of a thoroughfare does it up with lights, characters. 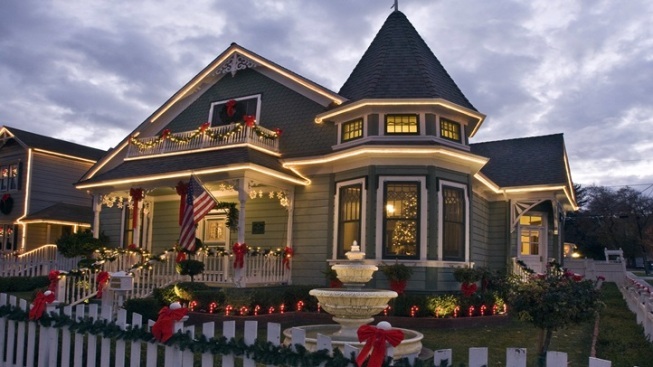 The charmer of a thoroughfare does it up with lights and characters on Saturday, Dec. 12. A FAIR THOROUGHFARE: Do you have some streets that are close to your heart in your hometown? You very likely do, including the one you grew up on, the one where your pal lived, the one where your grandma called home. But we can like thoroughfares in other cities, beyond our own, for certain lanes come by a loveliness that sticks in the memory. Call them "fair thoroughfares" or "beautiful byways" or simply those stretches of road that seem to offer a little something extra, charm-wise. Vine Street in Paso Robles is such a street, and when it gussies up on a particular December day -- and evening -- its pretty details and sweet touches up the general merry vibe of the season. That's set to happen again, on Saturday, Dec. 12, when the Vine Street Victorian Showcase returns to break out the mondo sparkle along a walkable length of Paso roadway. "COMMUNITY CAROLING, illuminated floats, entertainers, community open houses, live music, cotton candy, free cookies, hot chocolate" and more goodies fill out this particular stocking, as do appearances by Ebenezer Scrooge and the Clauses, Mr. and Mrs. (oh, and the Snow Queen, too). It isn't often that Mr. Scrooge swings by a convivial celebration, or, for that matter, the Snow Queen, either, so call their invitations a quirky addition to the alfresco festivities. THE SNOW QUEEN... is sticking around town -- or at least has a return ticket stamped "Paso" -- for she'll be at the annual Teddy Bear Tea on Saturday, Dec 19 at the Paso Robles Park Ballroom. Teddy bear teas are, of course, an awww-worthy addition to the holidays, but not all that easy to find. Cookie decorating, stories, and other adorable details fill out the Saturday-before-Christmas party. Around the Central Coast that weekend, with a teddy-toting tot in tow? This could be a fine way to introduce your little one to a lasting tradition.